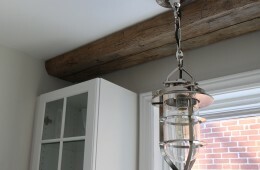 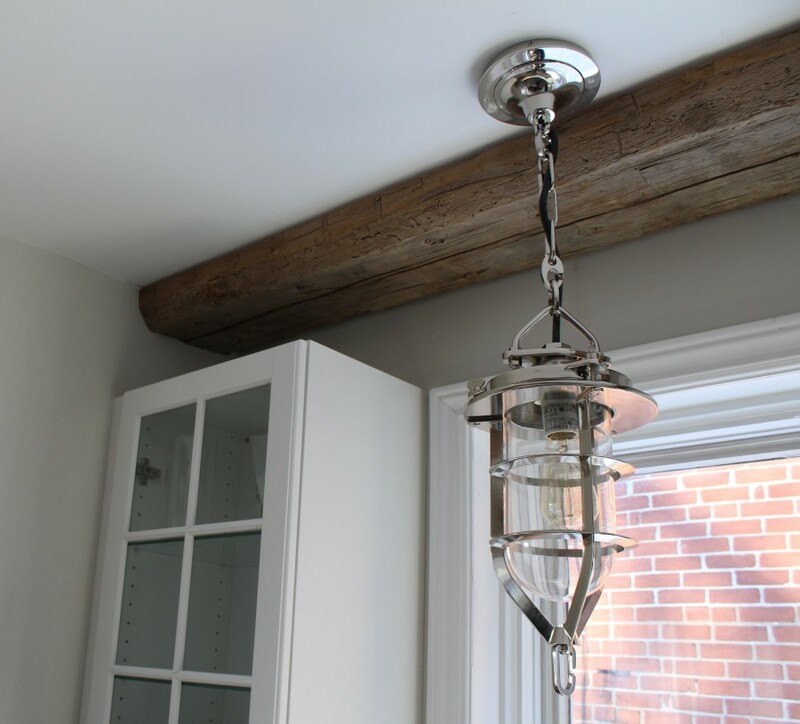 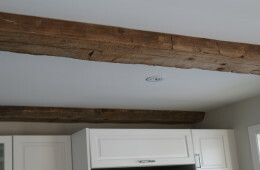 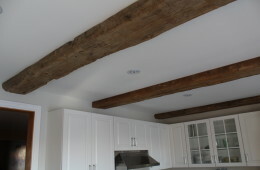 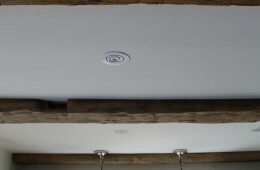 We ripped these antique barn beams in half on our sawmill and used them for some arcitectural stimulation on this kitchen ceiling. 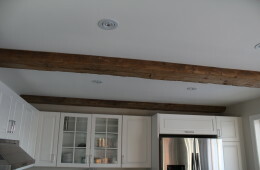 They really add a lot of warmth and visual appeal in this kitchen. 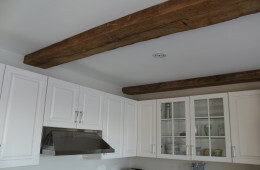 REBARN specializes in custom cut barn beams for decorative use as well as barn beam mantels, barn doors, barn door hardware, custom furniture and accessories.